As a complement to yesterday's blue boats, here's a trio of red boats, also found docked with the other commercial fishing boats at the marina in Puerto Peñasco, Mexico. 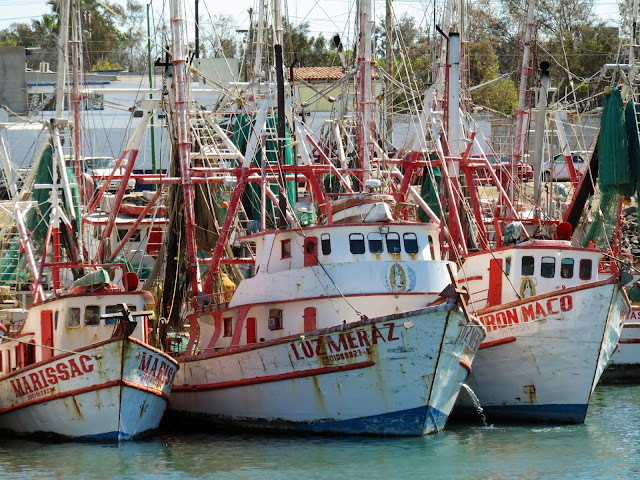 The commercial fishing industry has taken some hits over the years. The author of this article, The Fish in Our Foodshed, written in 2014 states, "As overfishing drives fisheries toward collapse across the Sea of Cortez, connecting fishermen directly to their markets may offer them a more sustainable future."